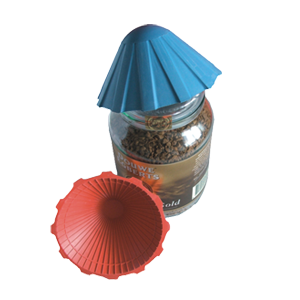 This conical ribbed opener assists in gripping jar or bottle lids. They are available in a colour choice of either Red or Blue. This conical ribbed opener assists in gripping jar or bottle lids. They are available in a colour choice of either Red or Blue.